Sorry, Aunti Jerry.....the pink tub had to go!!! Oh yes, I just could not take it any longer............NO MORE PINK TUB!!! We are so excited to reveal the new walk-in shower with glass walls, new vanity and led light fixtures. Stay tuned, the renovation will be completed shortly and progress photos added as we proceed. It's all yours if you love pink. 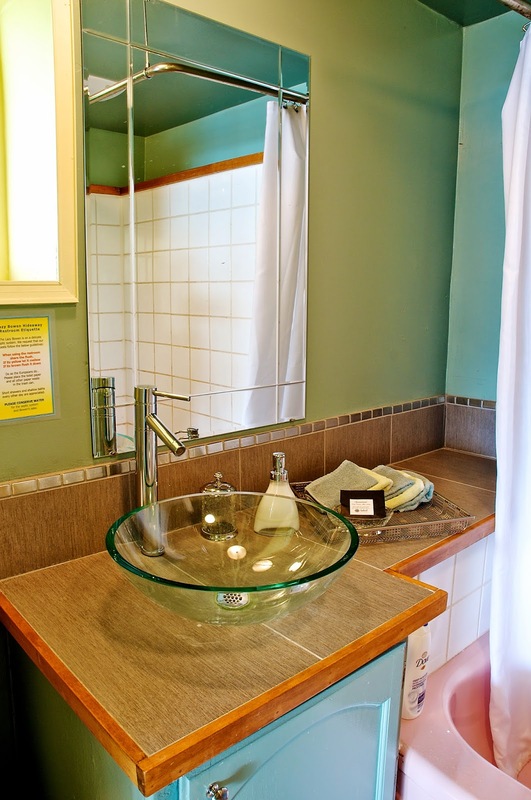 2010 update with new sink and tile for the Petite Suite update. 2010 update with new sink and tile....but the pink tub remained. The original bathroom before it was ever a vacation rental suite. 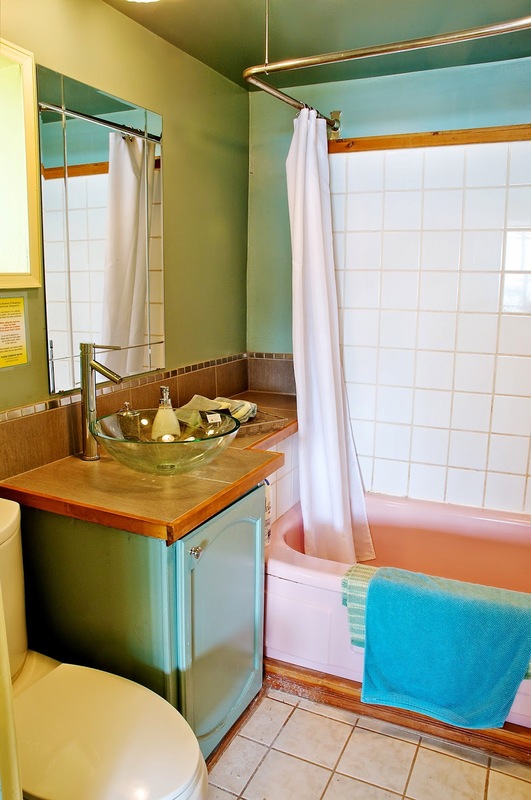 The original washroom before it was a vacation rental suite with the original pink everything. 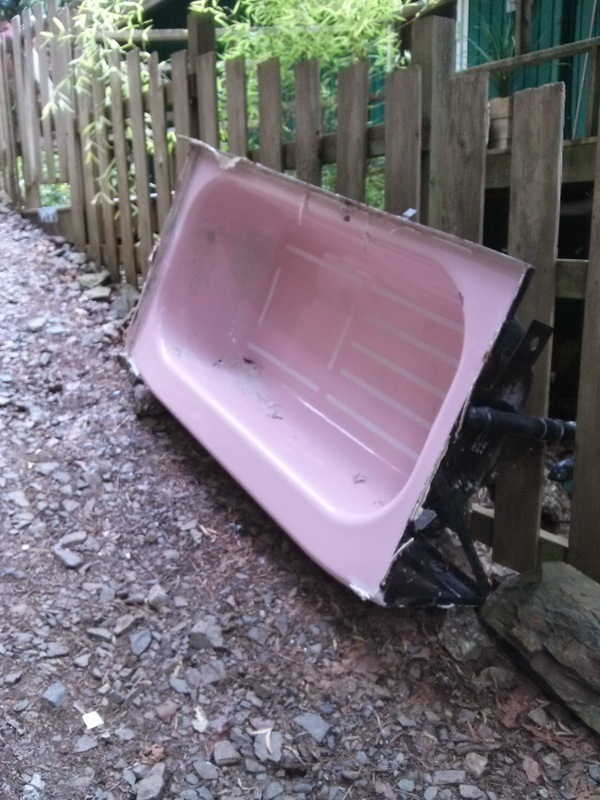 Wednesday, May 7th update ------The pink tub has found a new home.......as a yard feature in a Bowen Islander's yard believe it or not. I think some pink flamingos would coordinate nicely, don't you? 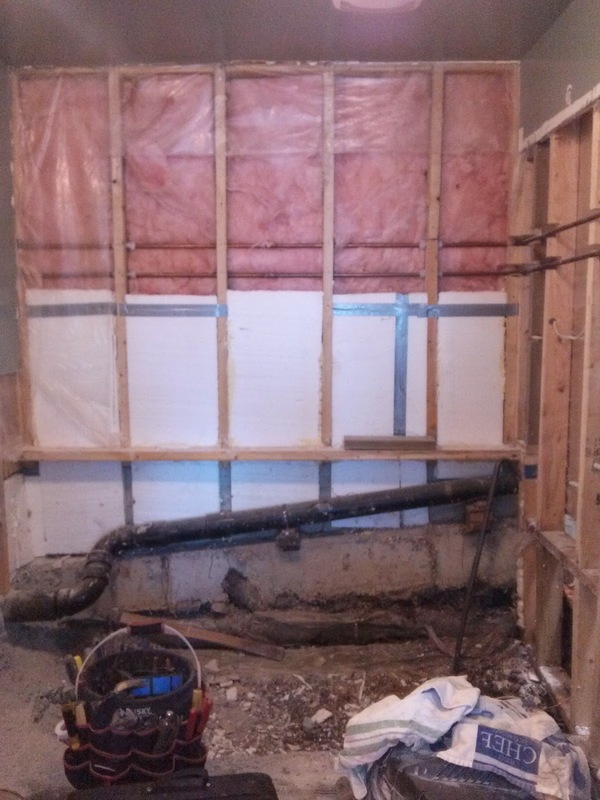 The bathroom is electrified, mudded, curbed, and ready for tile. 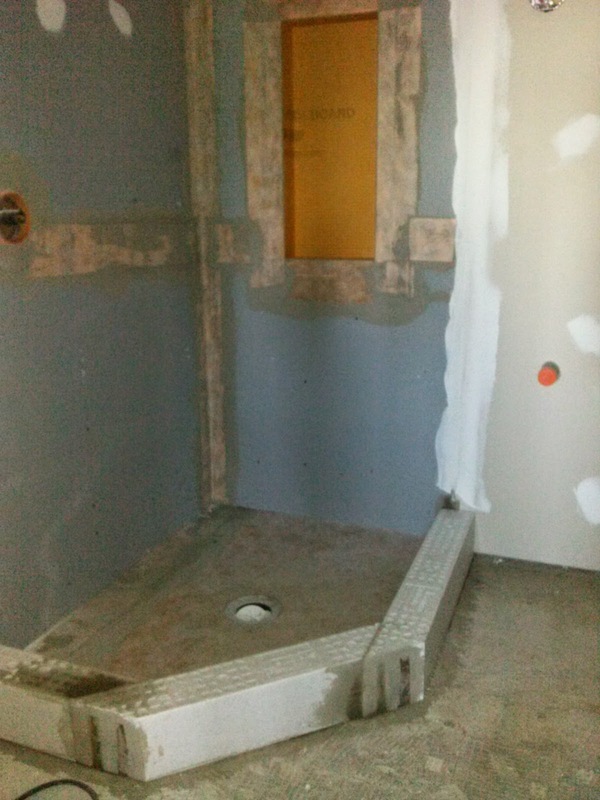 The bathroom is ready for tile. 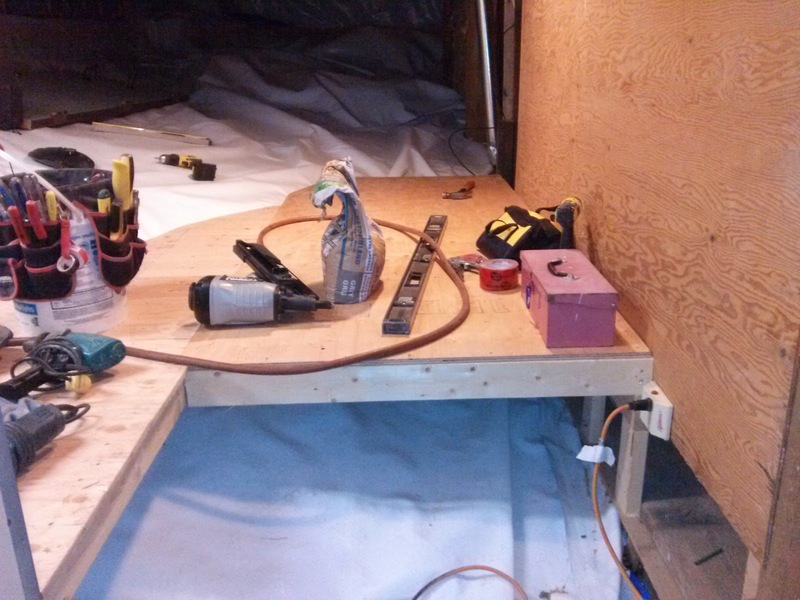 The storage room platforms are nearly completed. Then the IKEA storage cabinets get installed allowing us to organize our supplies in a very orderly fashion.